He lectures regularly on college campuses, including at Harvard University, Stanford University, the University of Chicago, Oxford University (the U.K.), Yale University, the United States Military Academy at West Point, Columbia University, UCLA, Georgia Tech, Northwestern University, and numerous others. He speaks at many other venues, including—but not limited to—Objectivist conferences, Students For Liberty (SFL) conferences, and events sponsored by the Foundation for Economic Education (FEE), the Institute for Humane Studies (IHS), the Clemson Institute for the Study of Capitalism (CISC), and the Bastiat Society. Internationally, he has lectured in Greece, England, the Czech Republic, Belgium, Holland, Norway, Poland, Bulgaria, Romania, Canada, Israel, Bermuda, Guatemala, Armenia, Croatia, Montenegro, Moldova, the Bahamas, and additional countries. His areas of expertise include Objectivism, Ayn Rand’s novels, the nature of heroism, the history of capitalism and its moral superiority to other systems, and application of the principle of individual rights to a broad array of topical issues, including health care, abortion, gun ownership, immigration, and the war on drugs. He also lectures at high schools, both in the New York area and nationally, regarding Ayn Rand’s novels and philosophy. His new novel, A Dearth of Eagles, published in May 2017, tells the story of a Bulgarian writer/freedom fighter in 1988-89, who struggles resolutely to help dissidents escape from Communism to freedom—and even more resolutely to publish serious stories about heroes in a modernist literary culture that rejects heroism for anti-heroism. 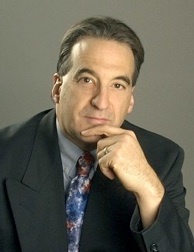 Dr. Bernstein formerly co-hosted a weekly blogtalk radio program, Objectively Speaking, and has been interviewed on hundreds of radio shows—including by such legends as Barry Farber, Bob Grant, Mark Scott, and others—and appeared on several prominent TV news shows, including Neil Cavuto’s.